Jeff McCalla teaches Algebra 2 and Pre-Calculus at St. Mary's Episcopal School in Memphis. He is a T3 instructor for Texas Instruments and co- founder of the TI-Nspire SuperUser group. 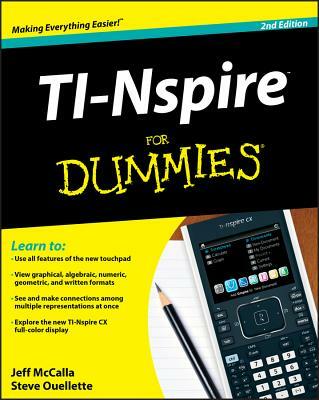 Steve Ouellette wrote the first edition of TI-Nspire For Dummies as well as CliffsNotes(R) Guide to TI-Nspire.